Exhibition “Kazimer Malevich-110”, Hall of the Artists’ Union, Vitebsk. Performance “Resurrection of Kazimer” by Ludmila Rusava. November 4, 1988. From archive of Ihar Kashkurevich. Courtesy: “pARTisan”. Exhibition “Kazimer Malevich-110”, Hall of the Artists’ Union, Vitebsk. 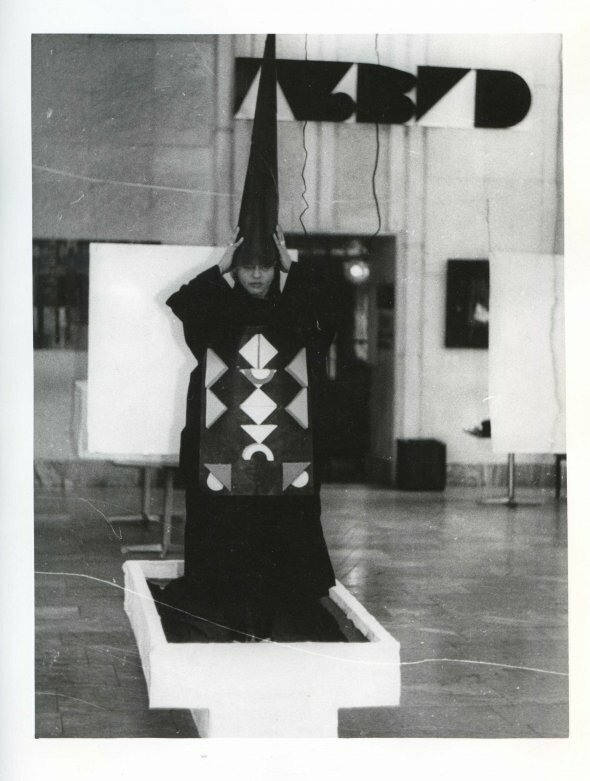 Performance “Resurrection of Kazimer” by Ludmila Rusava. November 4, 1988. From archive of Ihar Kashkurevich . Courtesy: “pARTisan”. Exhibition “Kazimer Malevich-110”. 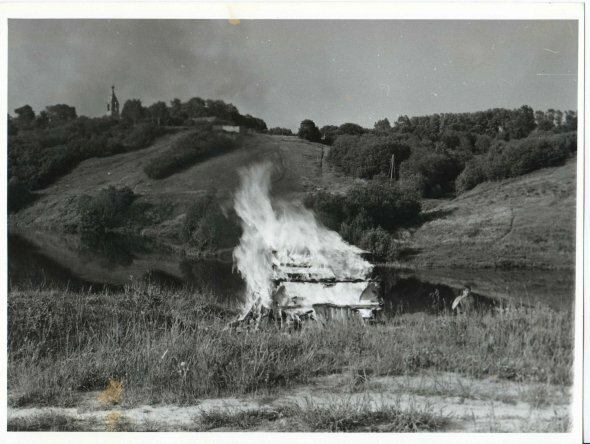 Performance of Ihar Kashkurevich “Burning Kazimer’s coffin”. November 4, 1988. From Ihar Kashkurevich’s archive. Courtesy: “pARTisan”. 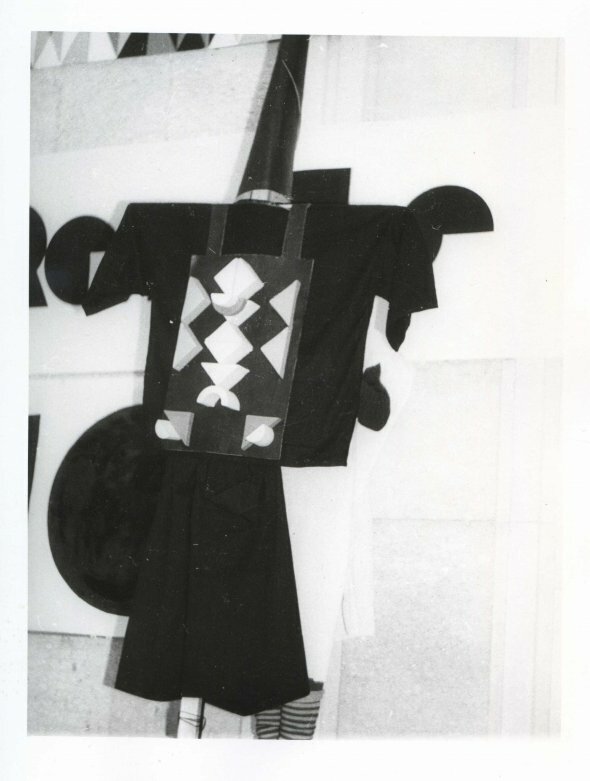 The opening featured performances by the collaborative duo Ihar Kashkurevich and Ludmila Rusava, and was dedicated to the 110th anniversary of Malevich’s death. 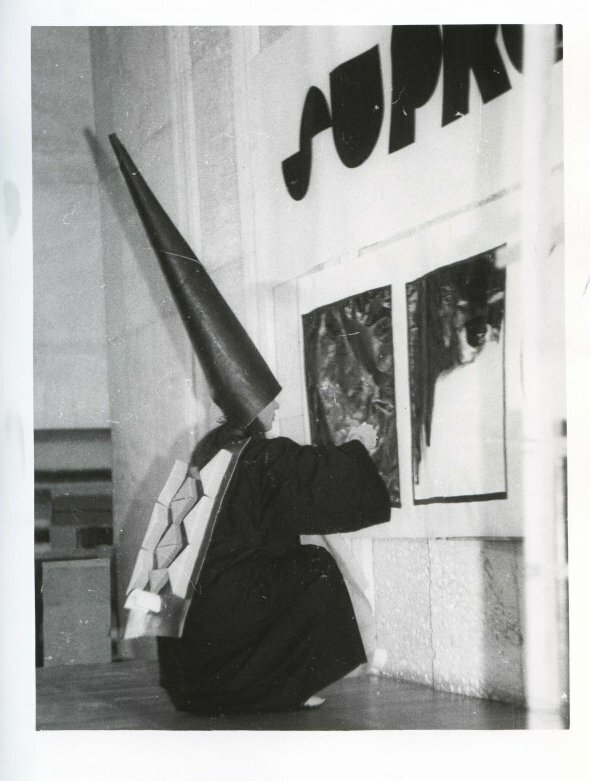 The event was the first in a series of ritualistic performances exploring Malevich’s legacy in Belarus (other exhibitions included “Kazimir’s Revival” in Minsk, 1988 , and “Suprematist Kazimir Revival” in Moscow, 1990). 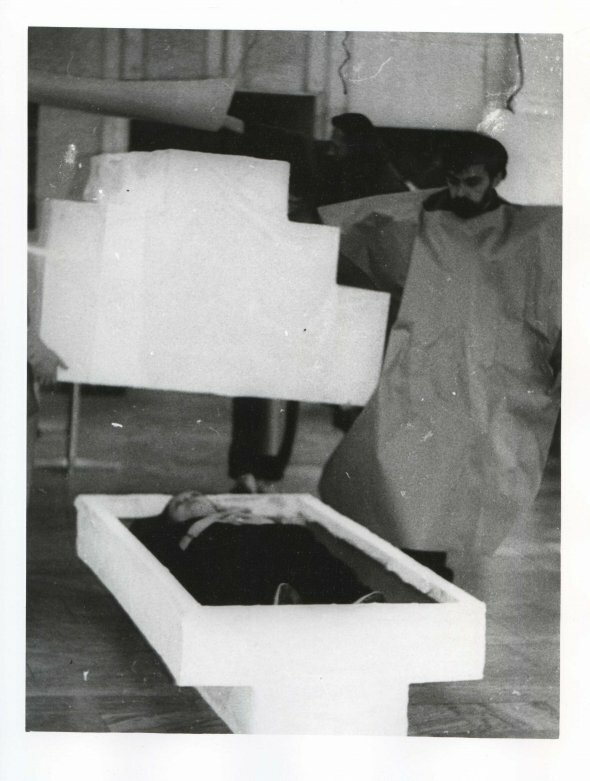 This exhibition also marked the beginning of artistic collaborations between performance artists Kashkurevich and Rusava. Exhibition “Panarama” (first survey of the non-official art of Republic of Belarus) at an abandoned building. Minsk, October 13, 1989. Exhibition booklet’s cover. Courtesy: “pARTisan”.